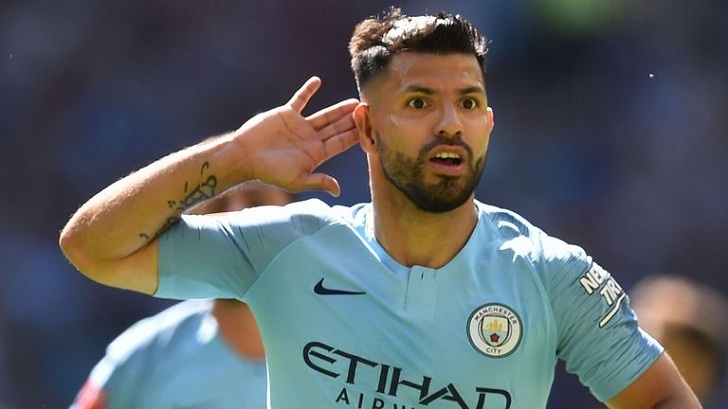 Manchester City's record goalscorer Sergio Aguero extended his stay with the Premier League champions on Friday, signing a one-year contract extension. The 30-year-old Argentina international -- who broke the record last season and whose tally stands at 204 -- put pen to paper on a deal that will see him through to the end of the 2021 season. "I am happy for this additional year," said Aguero in a club statement. "My idea was being here for 10 years. I've been here for seven years, it's going to be 10 when the contract expires. "This was the main reason I signed. I'm very happy because they have treated me very well since the first day I got here." Txiki Begiristain, Manchester City's director of football, said Aguero -- who has been left out at times by manager Pep Guardiola in the last two years for Brazilian Gabriel Jesus -- retained his status as one of the club's most pivotal players. "We are delighted that Sergio is extending his stay at Manchester City," said Begiristain. "We are fortunate to have had one of the best strikers in the world at our club for so many years."